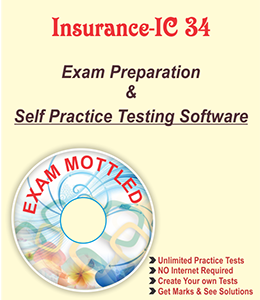 Exam mottled Tester IC27 has been extensively used by hundreds of staff members of LIC and other insurance companies to save time and help their knowledge base to crack IC-27 exam. As per the latest syllabus.Contains 600+ questions and answers. The software will run on windows Desktop / laptop for 365 days from the date of activation. We will provide the activation key after installation of the software. VALID FOR A SINGLE PC/LAPTOP. insurance in society – Insurance and Social Security. Protection Act, 1986 – The Insurance Ombudsman. Proximate Cause – Contract of Adhesion – Indemnity – Subrogation. 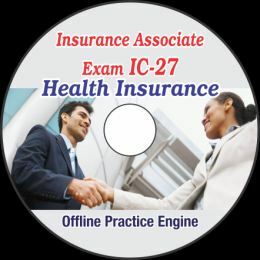 Other important organizations which form part of the health insurance market. products – Key terns in health policies. In order to become an agent which exam is to be taken? 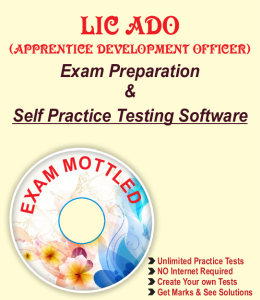 To become Life Insurance Agent in India a candidate should pass IRDA IC 38 Pre recruitment qualification exam. To become General Insurance Agent in India a candidate should pass IRDA IC 38 Exam. 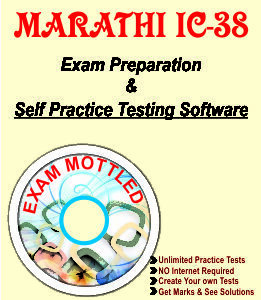 With the help of Exam Mottled Tester, you will be able to crack it in less time and with minimal efforts.